A single-vehicle crash Wednesday, April 10 on La. 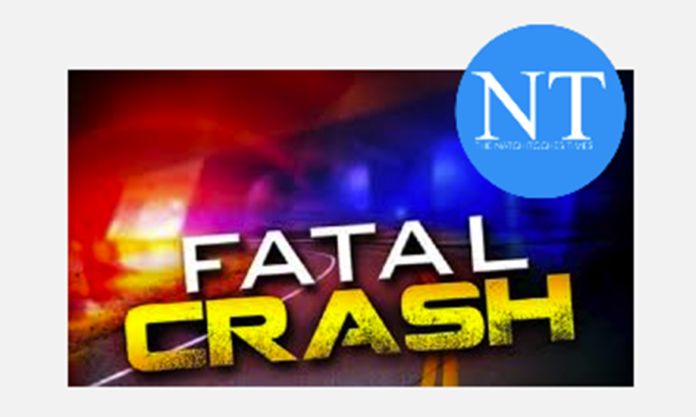 Hwy 6 West claimed the lives of a Sabine Parish man and a Caddo Parish woman according to the Natchitoches Parish Sheriff’s Office. At 8:27 p.m., Robeline Police contacted the Natchitoches Parish Sheriff’s Office reporting a single-vehicle crash with major injuries on La. Hwy 6 West in the city limits of Robeline. Robeline Police, Natchitoches Parish Sheriff’s Deputies, Louisiana State Police, Natchitoches Parish Regional Medical Center EMS, NPSO Rescue and Natchitoches Parish Fire Protection District 7 responded. Shortly after arriving on scene, Robeline Police discovered both occupants of the vehicle deceased. According to Robeline Police, the preliminary investigation revealed a 2017 Ford F-150 operated by Maurice Leon Jackson, 72, of Zwolle was traveling westbound on La. Hwy 6 West in the city limits of Robeline and for reasons still under investigation, left the roadway on the right side. After the vehicle left the roadway it traveled through the parking lot of a local bank and collided with a tree head-on. Jackson and his passenger, Charlotte Jones Bass, 70, of Vivian were both pronounced dead at the scene by Natchitoches Parish Deputy Asst. Coroner Steven Clanton. Toxicology tests are pending. The crash is still under investigation by Robeline Police assisted by the Louisiana State Police.